Sports betting is one of the few types of gambling that involves a high amount of skill. Sports bettors who make money are in the game for the long run, carefully handicapping matches, soundly practicing bankroll management, and slowly building their profits while hedging their bets. This guide to sports betting is designed to give you the basics you need to understand the types of bets that you can make, what bets are considered to be good ones and which are sucker bets, how sportsbooks make money, and what it takes to make cash consistently as a bettor. A point spread wager involves betting on what team will win a specific game. But your bet is not based on the actual final score, but instead the final score plus or minus the spread. Spread bets are commonly found in basketball and football with a modified spread used in baseball (runline) and hockey (puckline). With point spread bets the team that is listed on the minus side, that has points taken away once the game has ended, is the favorite, while the club that’s on the plus side, the team that has points added to its total, is the underdog. In the above example, the Patriots at minus-13.5 points are the favorite. If you bet on them, they must win by more than the spread in order for you to collect on your bet. However, with the Jets at plus-13.5, you would make money if the Jets won outright or they lost by less than 14 points. The payout odds on spread bets are 0.954-1. This is because the bookmaker gets a 10% commission, which is often referred to as vigorish or vig, on all bets. That’s why you have to bet $110 to make a $100 profit on a spread bet. In spread betting, the (-110) next to each team indicates that to win $100, you must bet $110. The moneyline pays out according to which team actually won the game. Thus, moneyline odds look quite different than spreads. Converting the point spread into s moneyline for the above game, the listing would look like this. With this moneyline, you would have to bet $805 on the Pats to win $100, while wagering $100 on the Jets yields a profit of $600 if they win. Again, you’re wagering on the actual result of the game; there is no adjustment of the score as there is with the spread. In moneyline wagering, the team listed on the minus side is the favorite and the number represents what you must risk to win $100, while the team associated with the plus sign is the underdog. That number indicates the amount you will win per $100 wagered. Again, like the point spread bet, you must wager $110 to win $100 ($11 for every $10 to be won). 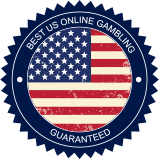 The bookmaker collects $1.00 on every $11.00 bet whether you win or lose. If the game totals are over 41.5 and you wagered on the over, you win. If you bet on the under, then the total number of points scored must be below 41.5 for you to make any cash. Any type of sports bet other than the three explained above fall under the category of being either an exotic or a prop or proposition bet. Exotics are wagers that in some manner either increase or decrease your chances of winning. With exotics payout odds are adjusted accordingly. The basic rule of thumb to remember is the better the payout odds, the greater your risk, and the less chance you’ll win your bet. Here are some of the more common exotics. A parlay involves combining two or more bets on one ticket. In order for you to cash in on your wager, you must be correct on all bets. Many sports bettors like parlays because they offer high payouts. Parlay payouts vary, but generally speaking a two-team bet pays 13-5 and three-team pays 6-1. As an example of how much more the odds go up, the four-team offers odds of 10-1 and the five-team 20-1. But sports bettors rarely see any profit from a parlay, and the best way to realize cash on this type of bet is to limit your risk to two- and three-team bets. One important thing to remember is that a vast majority of professional sports bettors stay away from this type of bet. The Round Robin bet allows you to wager on three outcomes on the same ticket and if two or one are correct, you win some cash. Because this type of bet involves less risk for the bettor, payouts are also reduced. If all three bets win, the payout is about 2.2-1 and if two bets are won, your payout odds are approximately 1.5-1. A one team win pays out a .20-1. The mixed parlay combines on one ticket two or more bets on two or more different types of sports. A mixed parlay may include two NFL games, a NBA game, and a college basketball contest. These are even harder to hit than the one-sport parlay. The payouts on these parlays are calculated by combining the odds of the various events, which will vary quite a bit. Teasers give sports bettors the opportunity to buy points and use those points on their parlay card. The more points you purchase, the lower your risk on the parlay and the lower your payoff if you do hit on your teaser. These are considered to be bad bets because the teaser negates the reason to play a parlay, which is to garner a large payout. Pleasers are for sports bettors who believe that the teams chosen for their parlay will outperform expert projections. The pleaser is the opposite of the teaser, as teams lose points and must win by a greater margin. Pleasers vary from book to book with the top point reduction being 7. As an example of how a pleaser can change odds, a 7-point, three-team pleaser pays 25-1 and not 6-1. Thus, if you hit a $10.00 on your pleaser, you’d win $250, whereas you’d win $60.00 on a basic three-team parlay. Some people would put futures bets into a category all their own, neither a prop nor an exotic. But these types of wagers, where you are attempting to pick which team will win a divisional, conference, or national title up to a year ahead of time, are all high risk bets that involve more guesswork than anything else. Proposition wagers are those that are based on some specific instance or occasion in a game or series of games. These bets have nothing to do with the outcome of a game or series. They focus on some isolated aspect of the contest or event. The Super Bowl is known for having innumerable props, many of which are fairly ridiculous, such as which team will win the coin toss, what player will score the first touchdown, and how long it will take to sing the national anthem. You may also bet on if an announcer will use a specific word during the game, what a member of the half-time band will be wearing, and if a specific player will be injured. As you can tell, the range of props can be far reaching, especially on an event as big and popular as the Super Bowl. Props are often offered as moneyline bets or as straight odds wagers.